D.A. Carson has pointed out that the list of qualifications for elders is "remarkable for being unremarkable." Why? Because these traits are repeated elsewhere as qualities that ought to characterize all believers. Join me as I explore the Bible to consider how we can better exemplify the highest Christian virtues. As we consider the character of the Christian, we will spur one another on to love, good works, and Christlikeness. 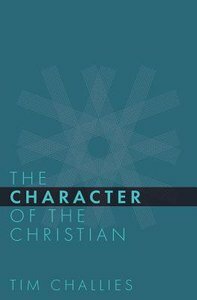 About "The Character of the Christian"
A pastor, noted speaker, and author of numerous articles, Tim Challies is a pioneer in the Christian blogosphere. Over 20,000 people visit Challies.com each day, making it one of the most widely read and recognized Christian blogs in the world. Tim is also the editor of DiscerningReader.com, a site dedicated to offering thoughtful reviews of books that are of interest to Christians. Tim is the author of The Discipline of Spiritual Discernment and Sexual Detox. He and his family reside near Toronto, Ontario.